So glad all is fine with you! I hope the people can soon return to their homes. Good to hear that you're safe. The devastation of all these fires is horrible! We need to pray for rain all over our country. It is a terrible thing. Glad you are safe. These fires have been so sad and frightening. Stay safe!!! Glad you're okay. Hope they get it completely put out soon! it breaks my heart to think of those gorgeous mountains on fire. my son says provo smells like a giant bbq from all the smoke. 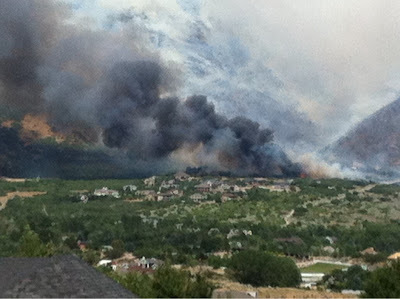 we've been worried about my husband's brother and his family who live in alpine. praying for rain. lots of rain! I'm so glad you're ok Nanette - be careful and stay safe! So glad you are safe....prayers and thoughts to those effected. I'm ghlad to hear you're ok, we've seen on the telly some of these terrible fires. I feel for the ones who are affected by evacuation or loss of homes. Nanette, I am so happy to hear that you are okay and all the Alpiners are now moving back into their homes. Yay, for the rain! Please stay safe! Thank goodness you are safe and that it has rained!! So happy to hear you are okay Nanette. Prayers for your town and for more rain. I did wonder how it was effecting you, although I knew your house was not near the mountain. My daughter called me Wednesday afternoon to say she had a good friend who was camping up there, and they were worried he was in the midst of the fire. After a few hours he had managed to hike out and all was well. Lovely to hear you are safe and sound! Happy you're safe! Its so hard to think it's been a year!!! WAY TO LONG. 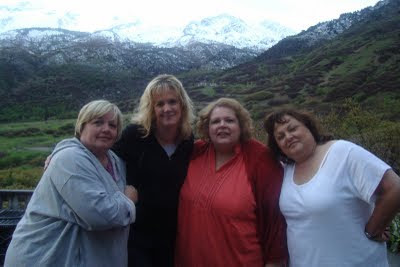 Nanette, I'm so glad you and your family are safe and praying for rain to come soon for all the relief from the fires. Oh Nanette, how scary! Those wild fires can be devastating. So glad to hear that you're safe and that rain has come to bring some relief. I hope there wasn't too much damage to your lovely area. Thank goodness for the rain! I wanted to let you know that I received the book from the giveaway - A Year of Making Life Beautiful. Thanks so much! Glad to hear you are okay. Did the rain yesterday help diminish the fire? Here in Southern Cal we wore sweatshirts to the fireworks! I have been praying for all those in harm's way ... I don't ever remember seeing such a fire-filled summer. Glad to know your home isn't in jeopardy. So glad things are OK and your friends house survived. We've been watching the news up there and I've been thinking about you. Take care!